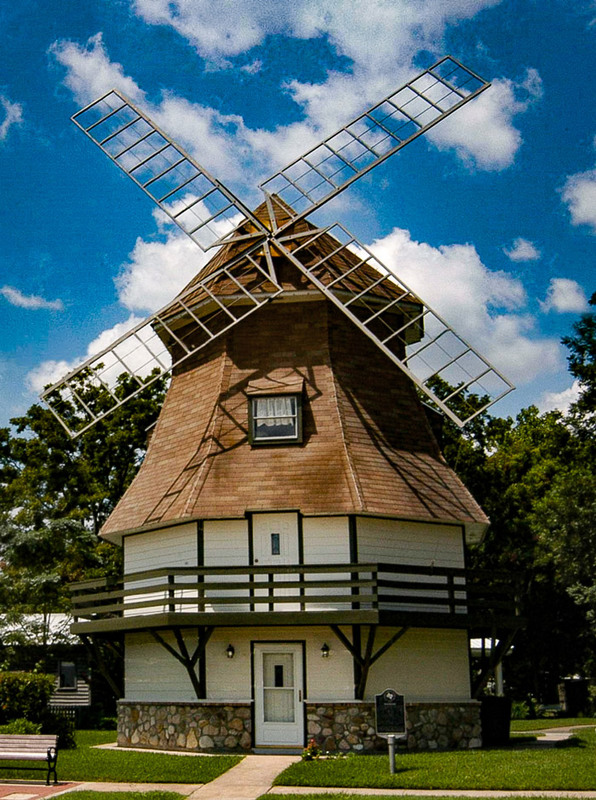 As a tribute to the heritage of Nederland, Texas, settled by immigrants from Holland in 1898, citizens of the city erected an exact replica of a Dutch windmill. The design was one of many used in Holland and the 40 foot tall structure houses a museum. Artifacts include a trunk brought from Holland before the turn of the century, wooden shoes, a winner of 1952 Olympic Gold Medal (a patch is displayed at the museum) won by W.F. (Buddy) Davis, a native son; and mementos of the late Tex Ritter, country and western music star, who called Nederland home. The first floor of the museum has a western theme, featuring a suit, boots and other items owned by Tex Ritter, presented by his family. Artifacts are displayed on two floors of the building along with a small gift shop stocked with imported items from Holland. The Texas State Historical Survey Committee erected a historical marker in front of the building in 1970. A marker honoring War Veterans is located in a special area of park. The park is maintained by the City of Nederland. The windmill museum was a project of the Nederland Chamber of Commerce, lead by an Englishman, M.L.C. Lucke, who was president. Sam Bass, a German Engineer, built a scale model of the proposed structure and this was displayed in the Chamber of Commerce office. Artifacts are displayed on two floors of the building along with a small gift shop stocked with imported items from Holland. Ground was broken for the structure on January 11, 1969, dedication ceremonies were held July, 1969, with the principle address by the Vice Consul of the Netherlands. 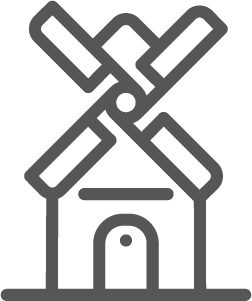 The windmill was built on a small tract of city property. Mrs. Dan Barras donated a city lot and another lot was purchased by the city adjacent to the original tract to form Tex Ritter Park. Individual admission is free, although donations are welcomed. Please schedule bus tours ahead of time, cost is $25 per bus. 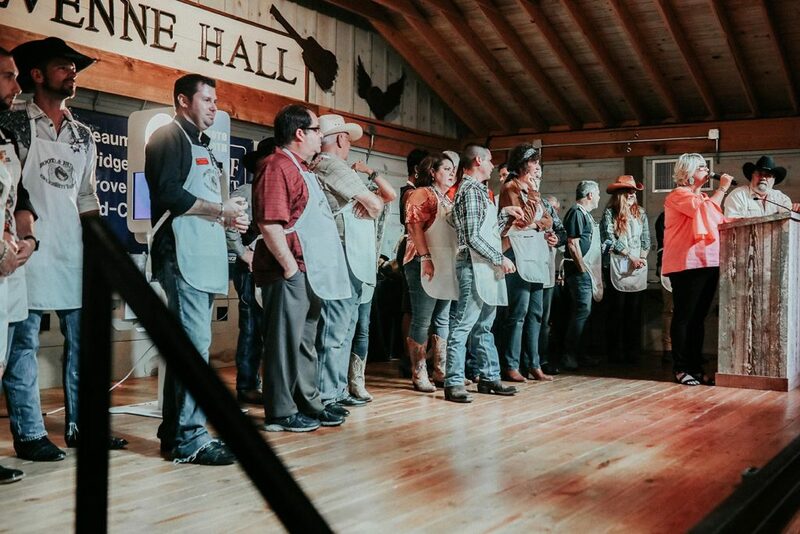 For hours or tour request, please call 409-723-1545 or contact the Nederland Chamber of Commerce & Tourist Bureau at 409-722-0279 or by email nedcofc@nederlandtx.com. The windmill museum was a project of the Nederland Chamber of Commerce; and built as a tribute to the heritage of Nederland, Texas, settled by immigrants from Holland in 1898. The citizens of the city erected an exact replica of a Dutch windmill. The design was one of many used in Holland and the 40 foot tall structure houses a museum. Artifacts are displayed on two floors of the building along with a small gift shop stocked with imported items from Holland. The first floor of the museum has a western theme, featuring a suit, boots and other items owned by Tex Ritter, presented by his family. Artifacts include a trunk brought from Holland before the turn of the century, wooden shoes, a winner of 1952 Olympic Gold Medal (a patch is displayed at the museum) won by W.F. (Buddy) Davis, a native son; and mementos of the late Tex Ritter, country and western music star, who called Nederland home. The Texas State Historical Survey Committee erected a historical marker in front of the building in 1970. A marker honoring War Veterans is located in a special area of park. The park is maintained by the City of Nederland.